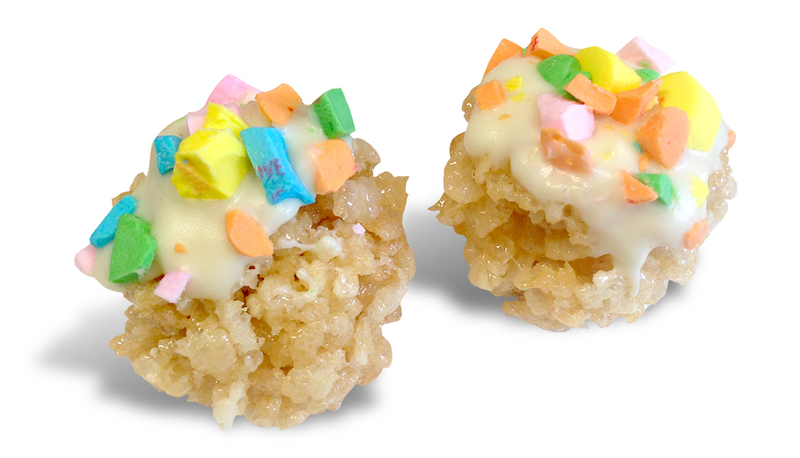 rice crispie treat | Welcome to the world of NECCO! Sweethearts Series: Crisped Rice Bites! Valentine’s Day is such a wonderful time of year, and we’ve been having so much fun celebrating it with our Sweethearts Series! Over the years, we have seen so many amazing, unique Sweethearts creations that our wonderful fans have created that have inspired us to get really innovative with how we craft and bake with Sweethearts. Today, we switch from a DIY tutorial to a quick and easy yummy recipe that’s perfect for a lunch bag snack for your little one or any Valentine’s Day celebration. It combines a classic beloved dessert: crisped rice treats with our classic beloved candy: Sweethearts – talk about a “can’t beat it” combo! Enjoy today’s delicious anytime recipe, and be on the lookout for some more Sweethearts fun tomorrow! Melt butter in a medium saucepan over low heat, adding in marshmallows until completely melted. Remove from heat and stir in crisped rice cereal until well mixed. While still warm, press the prepared mix into each of the spaces in the cupcake tray. (Tip: spraying the tray with cooking spray first prevents sticking!) Allow to cool completely in the tray. Place the Sweethearts in a zipped plastic bag, and crush them with a small kitchen mallet. While mixture is cooling, melt the white chocolate in the microwave for 15-30 seconds to prevent burning. Remove the cooled bites from the cupcake tray then dip them first into the melted white chocolate then the crushed Sweethearts – maybe even add a full one or two Sweethearts for show on top! Let cool for an hour, then enjoy! 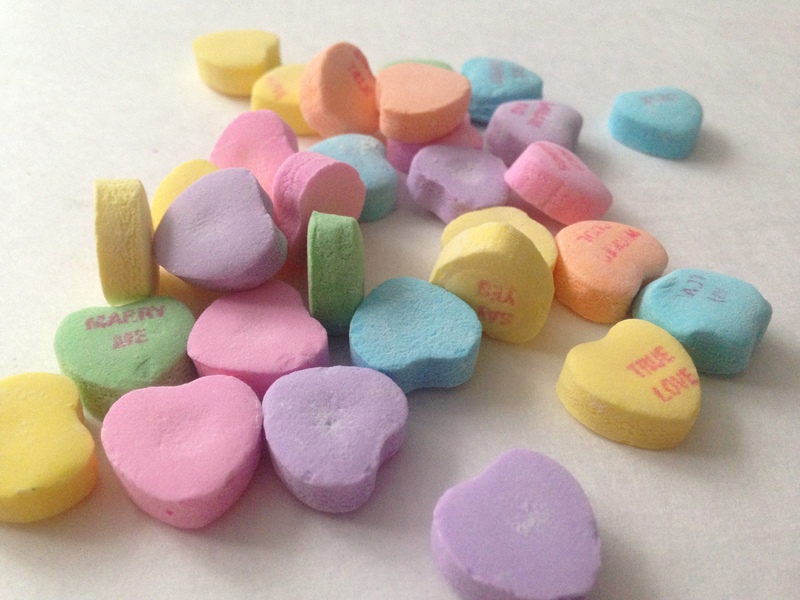 Categories: Recipes, Sweethearts Series, Valentine's Day | Tags: bake, baking, Boston, candy, Candy Hearts, conversation hearts, crisped rice cereal, crisped rice treat, dessert, family, food, holidays, love, NECCO, new england confectionery company, rice crispie treat, snacks, Sweethearts, Valentine, Valentine's Day | Permalink.